LONDON: Pakistan has tripled its representation in the list of Asia’s best universities with seven Pakistani institutions in the top 300. The Times Higher Education list for the latest Asia University Rankings 2017 shows that Pakistan has seven institutions in the top 300, five of which are new entrants. 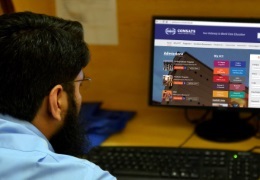 Pakistan’s highest-ranking institution, Quaid-i-Azam University Islamabad, is placed in the 121-130 cohorts and is joined by COMSATS Institute of Information Technology in the top 150. 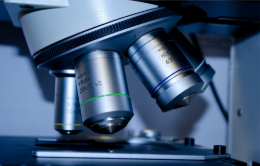 National University of Science and Technology (NUST) is ranked at 141-150. 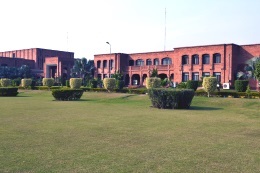 University of Agriculture Faisalabad is ranked 201-250. 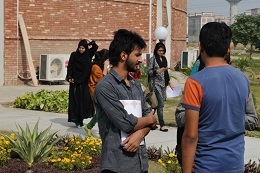 Both University of Lahore and University of Karachi are 250+. For the second year running, Singapore’s National University and China’s Peking University ranked first and second respectively, according to the list. 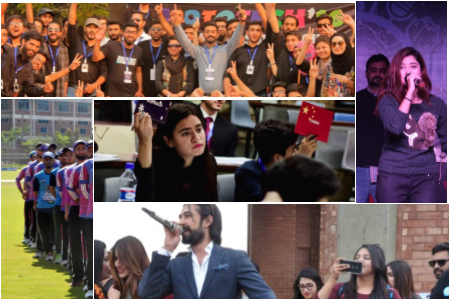 On Pakistan’s success Phil Baty, the editor of the Times Higher Education rankings, said: “It is fantastic news that Pakistan has more than tripled its representation in this year’s list of Asia’s best universities, taking seven places, up from two last year. COMSATS Institute of Information Technology is the only new entry to make the top 200 (in the 141-150 band). “However, the two established Pakistani universities have dropped places, despite the fact, their overall scores had not declined since last year; Quaid-i-azam University drops from 101-110 to 121-130, while National University of Sciences and Technology slips from 121-130 to 151-160. Their decline is due to other leading Asian universities improving at a faster rate and increased competition in the table; the ranking now includes 300 universities, up from 200 last year. “Higher education enrolment in Pakistan has increased significantly (from 280,000 students in 2002 to 1.3 million today), and 47 per cent of these are women (compared to 36 per cent 10 years ago), according to data from the World Bank. But, only around 10 per cent of the country’s university-age population go to university, which is much lower than the equivalent figures in India and Sri Lanka. Despite this, reforms have made the establishment of universities much easier, resulting in a trebling in the number of higher education institutions since 2000. And the country’s Vision 2025 commits to increasing the proportion of its young people enrolled in higher education in the next decade and doubling the number of doctoral students to 15,000. “The nation also has a very low GDP per capita at $5,011 (PPP World Bank 2015), although it has committed to spending four per cent of its money on higher education by 2018. “Overall this ranking of Asia’s best 300 universities proves what a dynamic, diverse and competitive higher education region the continent is becoming. 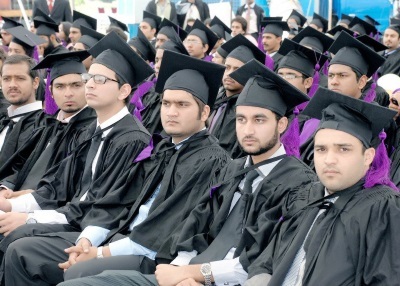 Pakistan is a key part of that development but must make sure it does not get left behind.” On the South Asian region as a whole, Phil Baty continued: “India is the higher education star of the South Asian region, taking an impressive 33 places in the table this year – more than double its representation a year ago. This means that India is now the third most-represented nation in the table for the first time. He said that Pakistan has also made great gains, more than tripling its representation since last year, from two to seven, while Sri Lanka makes its debut with the University of Colombo making the 251+ band.